Despite featuring 6GB of RAM, OnePlus 3 performed horrendously against the Galaxy S7 edge, and it primarily had to do with how the company’s developers tweaked the software that ended up consuming less battery life, but opened up applications after a delay. Today, we get to see if the OnePlus 3T, the upgraded variant of the original fares any better. Can the OnePlus 3T Finally Get the Better of Galaxy S7 Edge With Its Upgraded Processor and Tweaked Software? 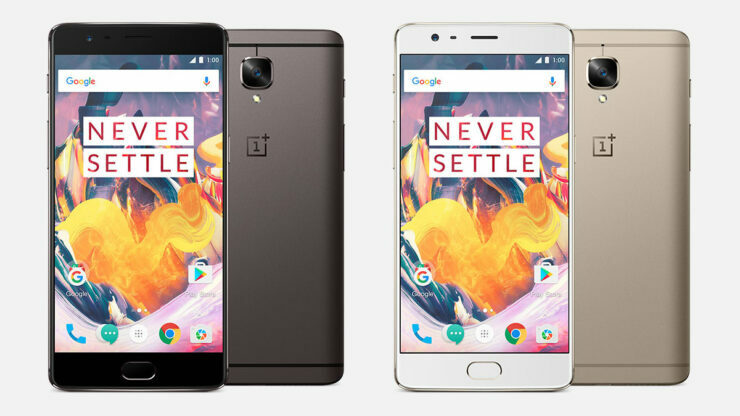 With OnePlus 3T, you would expect a small amount of performance gain thanks to the upgraded processor and GPU, however, the impact is going to be negligible if the software has not been catered to deliver the much-needed performance. However, YourTechGuide has successfully managed to update both devices to the latest firmware and to give an accurate result of the speed test, animations on both smartphones were turned off, and they are connected to the exact same Wi-Fi network. The speed test comprises up of a total 31 scenarios and the Galaxy S7 edge managed to outpace the OnePlus 3T in a total 14, while the upgraded smartphone variant took the lead in 17 different outcomes, showing that this device is the clear winner. One another advantage of owning the OnePlus 3T is that it provides support for OnePlus’ proprietary Dash Charge technology. In another video, it shows that OnePlus 3T charges faster than Galaxy S7 edge. However, you have to take into account the varied resolutions of both devices. OnePlus 3T maintains the same resolution over its Snapdragon 820-powered brother, while the Galaxy S7 edge resonates a crisp 1440p display, so while there are some variables that you can control easily, there are others where you just cannot bring the change. Also keep in mind that this Galaxy S7 edge has not been updated to Android Nougat 7.0, which reduces the resolution to 1080p, so let us hope that another test is carried out where the resolutions of both devices remain the same throughout the test. Perhaps then we will receive a better understanding of which device is the clear winner.